’100: Head/Heart/Feet’ follows Ultrarunner Zak Wieluns as he attempts to run The Vermont 100 Endurance Race. The film focuses on Zak’s intensive training regiment and its impact on his relationships while exploring the reasons he is singularly dedicated to completing the Vermont 100 Endurance Race, one of the original 100 mile runs in the USA. 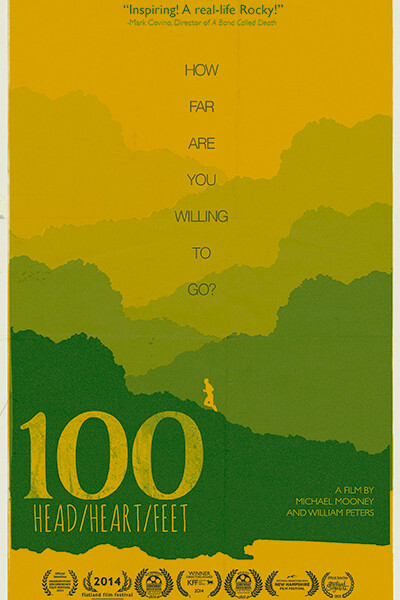 Filmed on the race’s 25th anniversary, ’100: Head/Heart/Feet’ records the stories of handlers, pacers and crew members while exploring the friendships that motivate their preparation for this grueling race over Vermont’s paved streets, gravel back roads and wooded trails…in daylight and darkness… all within a 30 hour time limit. A well-trained few complete the race; many will never cross the finish line. Directors Award – Kingston Film Festival, ‘Best Sports Documentary’ Festival Sayulita 2015, ‘Best of Fest’ & ‘Best Documentary’ Somewhat North of Boston Film Festival. Official Selections: Kingston Film Festival 2014, New Hampshire Film Festival 2014, Flatland Film Festival 2014, Cincinnati Film Festival 2014, Newburyport Documentary Film Festival 2014. This entry was posted on June 2, 2015 by amber.